In Matthew 1, it tells us that Jesus would be called "Immanuel, which means God with us." Jesus is God with us. Throughout the month of December, we want to consider and experience what it means for God to enter our world. In this message, Allan explores Romans 8 where five powerful words are found... "If God is for us". We know that God is for us because God is with us. In Matthew 1, it tells us that Jesus would be called "Immanuel, which means God with us." Jesus is God with us. Throughout the month of December, we want to consider and experience what it means for God to enter our world. In this message, Allan explores Isaiah 40 where Isaiah says, "Here is your God". In Matthew 1, it tells us that Jesus would be called "Immanuel, which means God with us." Jesus is God with us. Throughout the month of December, we want to consider and experience what it means for God to enter our world. In this message, Eric dives into the birth narrative of Jesus. It is an unbelievable story that calls for us to live an unbelievable faith. In Matthew 1, it tells us that Jesus would be called "Immanuel, which means God with us." Jesus is God with us. Throughout the month of December, we want to consider and experience what it means for God to enter our world. God is the ultimate gift giver who has given us the ultimate gift. In Matthew 1, it tells us that Jesus would be called "Immanuel, which means God with us." Jesus is God with us. Throughout the month of December, we want to consider and experience what it means for God to enter our world. Through Jesus, God has given us a gift that is indescrible. This gift has impacted the world for over 2,000 years. 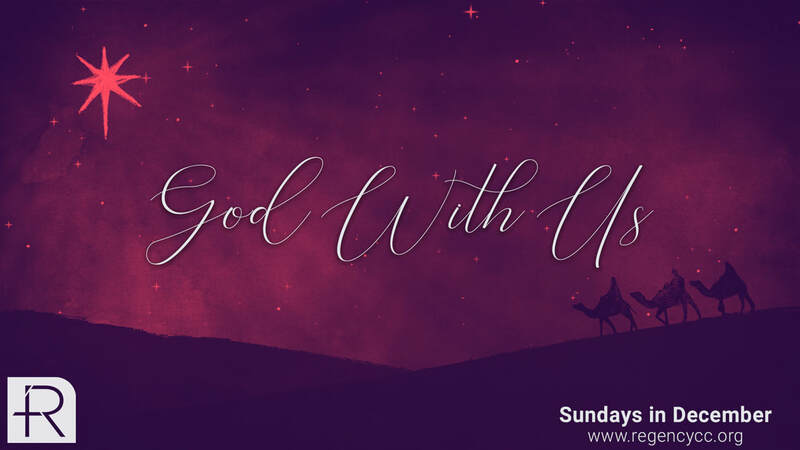 God With Us Sermon Series Promo from Regency Church of Christ on Vimeo.